Chlorhexidine gluconate (CHG) is an antibacterial antiseptic with the ability to inhibit and kill bacteria associated with healthcare-associated infections (HAIs). 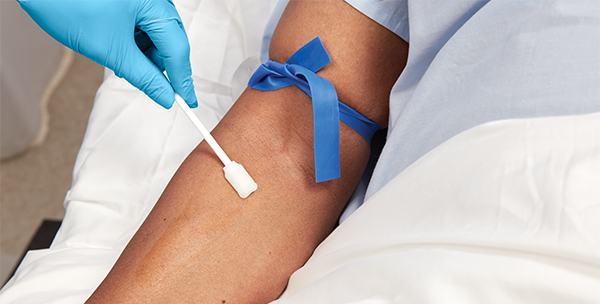 In the last two decades, investigators have researched the use of CHG for hand hygiene, oral hygiene, pre-operative bathing, insertion and maintenance of central venous catheters (CVCs), and daily bathing of patients with CVCs. The rapid antimicrobial activity of CHG, in addition to the persistent and residual antibacterial effect for up to six hours on the skin, has led to recommendations for its use as a healthcare provider hand soap, showering/bathing agent prior to surgery, skin preparation agent for drawing blood cultures and for preparing the skin prior to the insertion of intravascular lines.